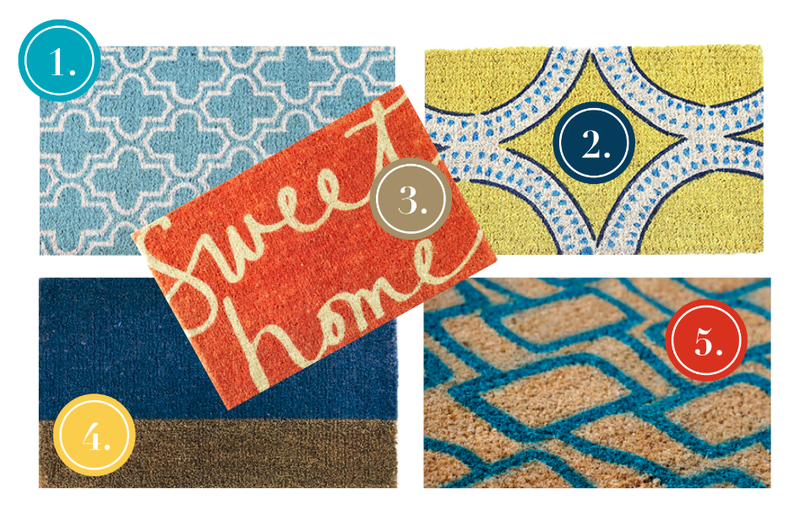 Five Under $50: Cool Coir Doormats for Spring! I am loving these fun, cheap doormats for spring. Especially after all the long hikes we’ve been taking as a family. Hooray for a child who can walk more than 1/4 of a mile, but sigh at the child who thinks it’s fun to jump in muddy puddles and step in the occasional pile of mysterious nature stuff. Which is your favorite? I really like the understated two-toned mat in #4 – it comes in lots of colorways!